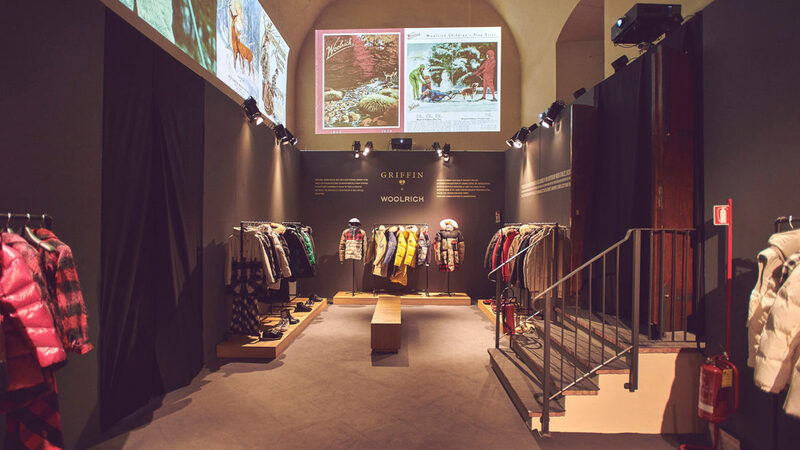 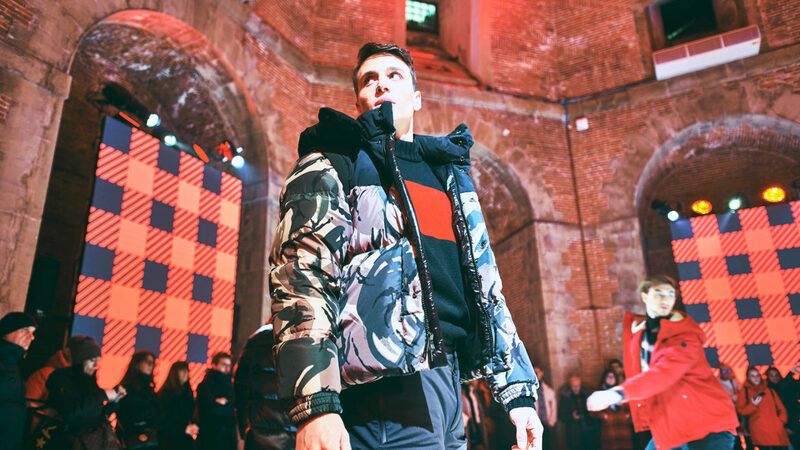 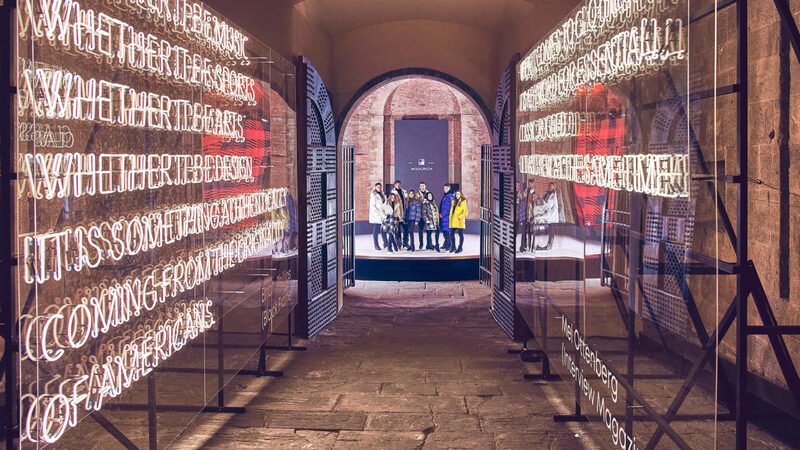 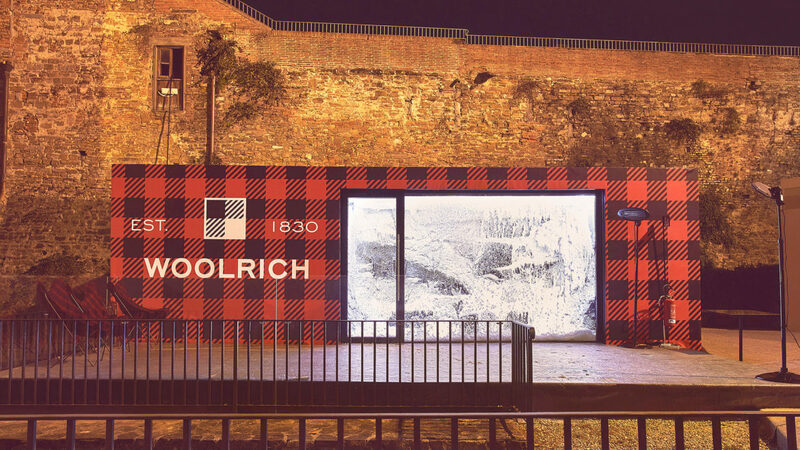 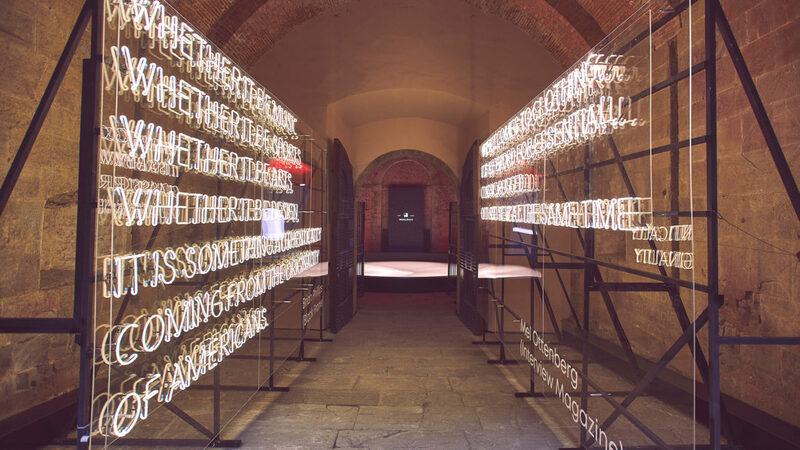 Woolrich chose Sartoria for the presentation of the new FW19 collection at Pitti Uomo 95. 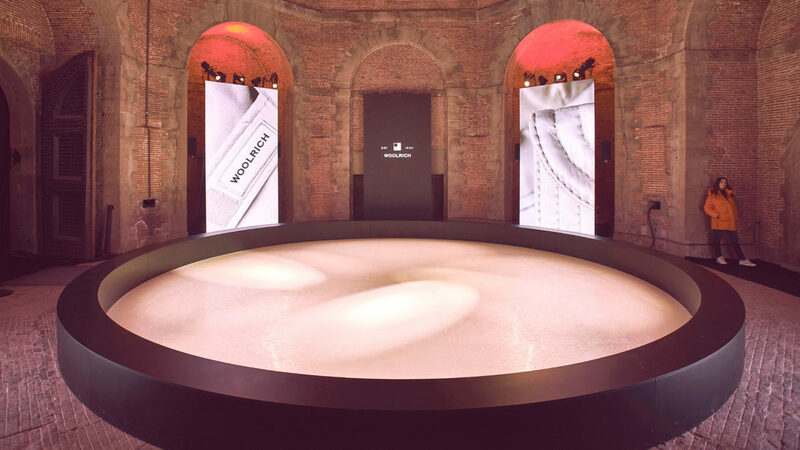 Sartoria was in charge of the design and production of the space set up as well as the event launch. 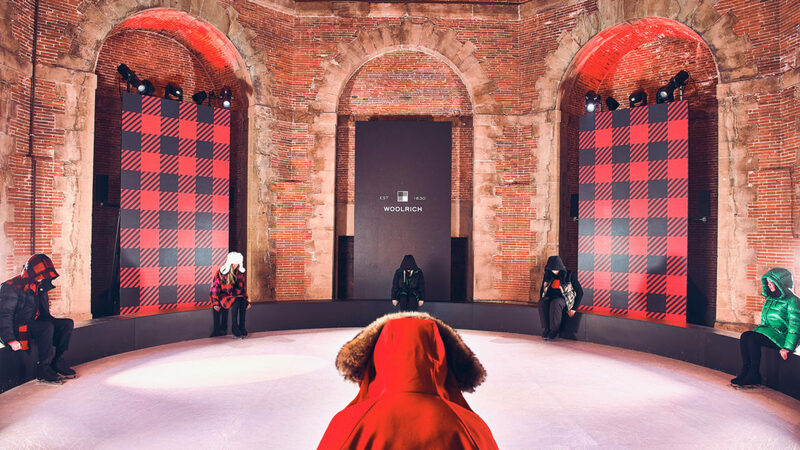 In the Octagonal Room Woolrich offered an immersive experience translating its stylistic universe linked to the great cold. 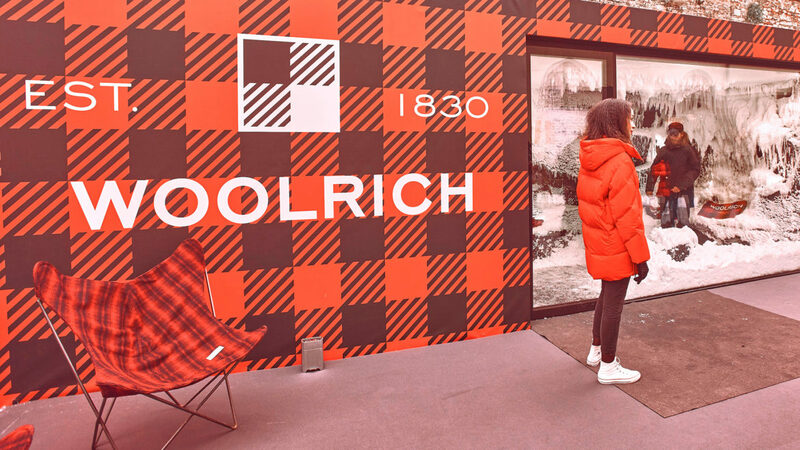 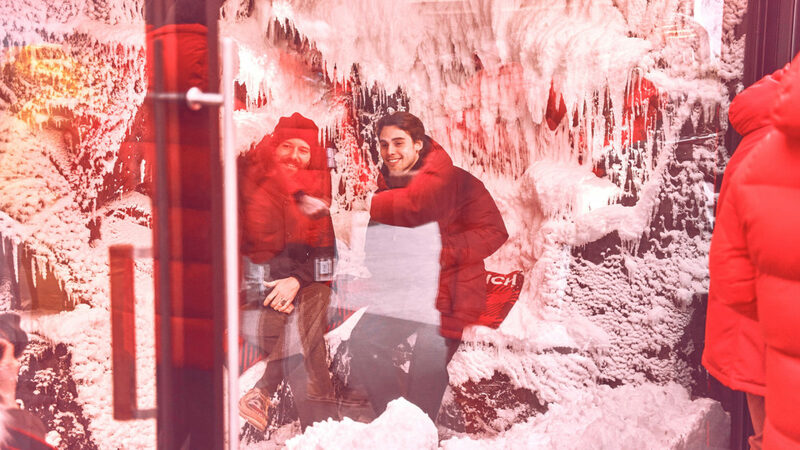 Movement and cold are the key elements that inspired Woolrich this year. 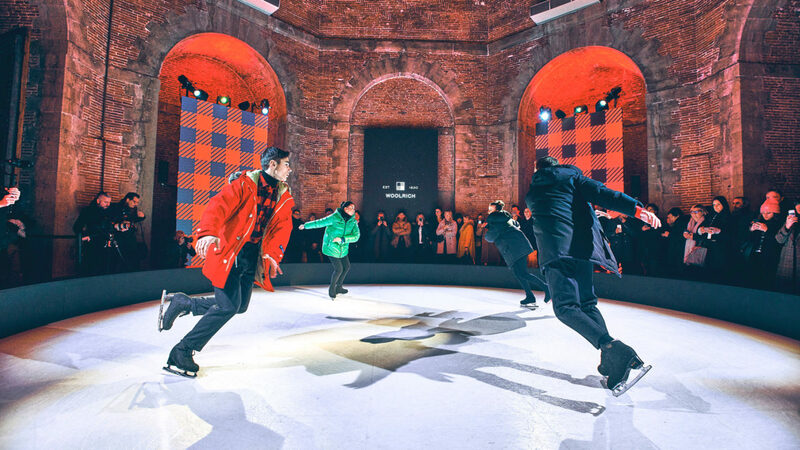 Daily shows on ice performed by a group of professional ice-skaters brought the brand clothes and values to life with an hypnotic performance. 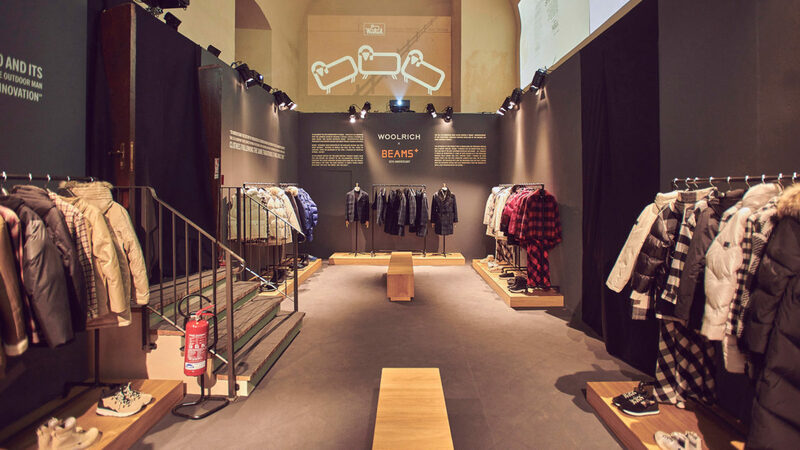 • the showroom to celebrate two special partnerships with Beams (Japanese brand) and Griffin (English design studio). 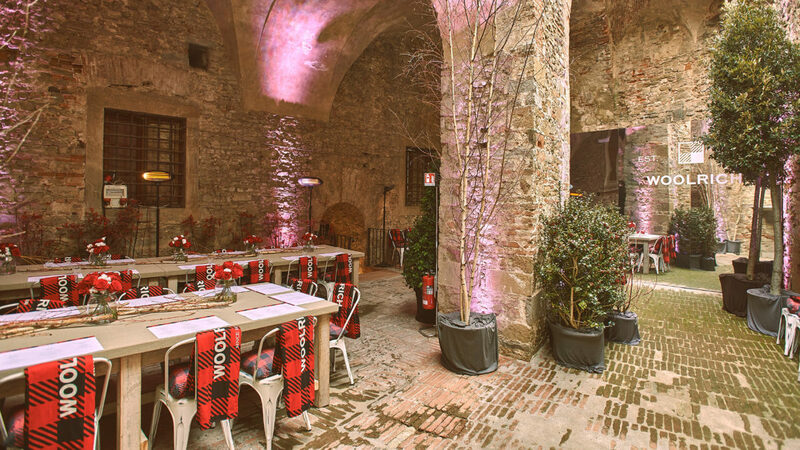 • a refreshment area with tables, blankets, food and beverages.